If you are interested in a sunroom addition for your home in the St. Paul, Minneapolis, area, turn to the experts at U.S. Patio Systems and Home Remodeling. We can help you enjoy views of the beautiful outdoors from the comfort of your temperature-regulated home. With this extra square footage, you’ll have the perfect place to spend more time with your family or enjoy some rest and relaxation. In addition to adding to the aesthetics of your home, your new sunroom addition will also be low maintenance and look brand new for many years to come. 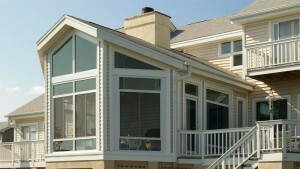 Contact U.S. Patio Systems and Home Remodeling today to learn more about adding a sunroom addition to your home in the St. Paul, MN, area. One of our knowledgeable associates can gladly answer any questions you have and tell you more about the exceptional products and services we offer.